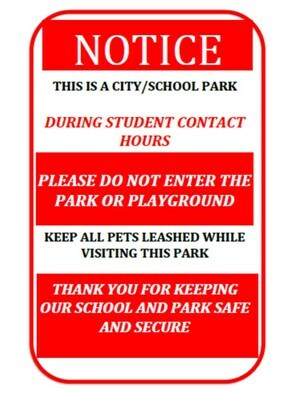 In an effort to continue to increase safety in our city parks located at schools, especially during school hours, Durango School District 9-R and the City of Durango are changing and increasing signage at two popular parks: Fanto and Needham. Fanto, located next to Park Elementary, and Needham, located at Needham Elementary, both host public parks in partnership with Durango School District 9-R and The City of Durango. However, during school hours, it is important to note that the parks are not available to the public for the safety and security of our students and staff. In an effort to increase awareness, Durango 9-R and the City are updating the current signage at the parks to better clearly communicate this message. 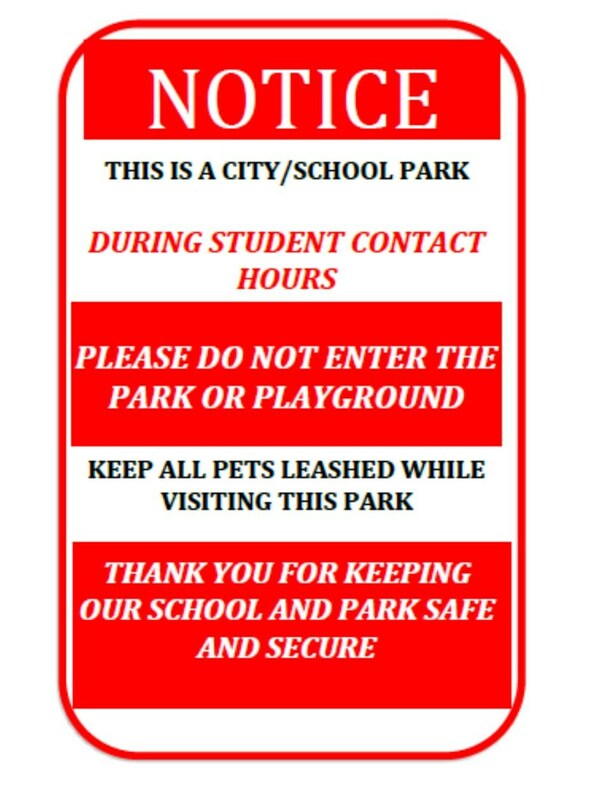 Durango 9-R and the City would also like to remind citizens that these parks follow all city ordinances including the use of leashes for dogs. Questions or concerns about the park use and access can be directed to The City of Durango. For inquiries about school use and hours, please contact Durango School District 9-R. An example of the new signs is included in this announcement, below.